Avanti 4 Person Picnic Basket is the perfect travel accessory for any excursion or outing. 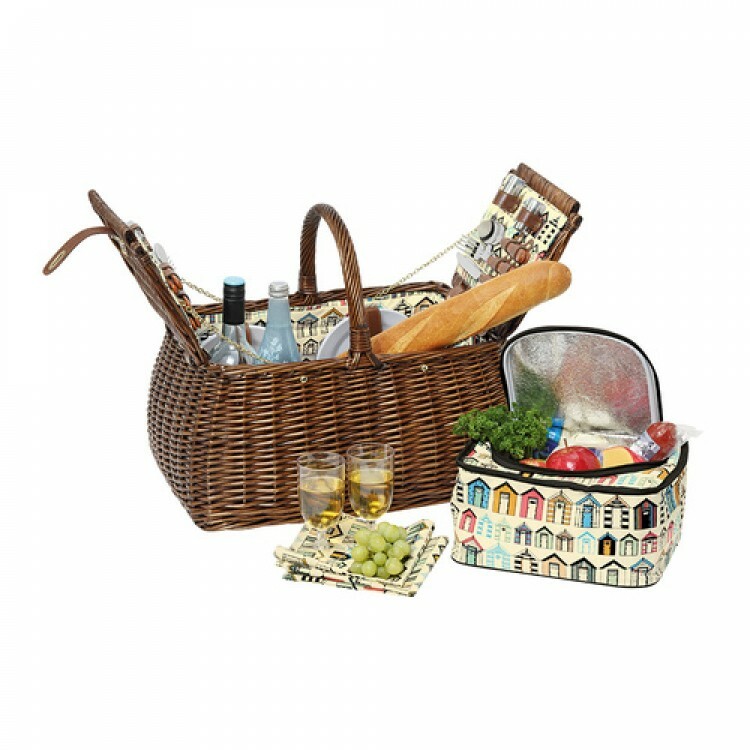 This stylish and functional picnic basket is sure to add that extra bit of fun to your time under the sun. 1 cooler bag.- Light Brown Willow with bathing boxes pattern.